Thanks. The spirit houses are quite interesting. 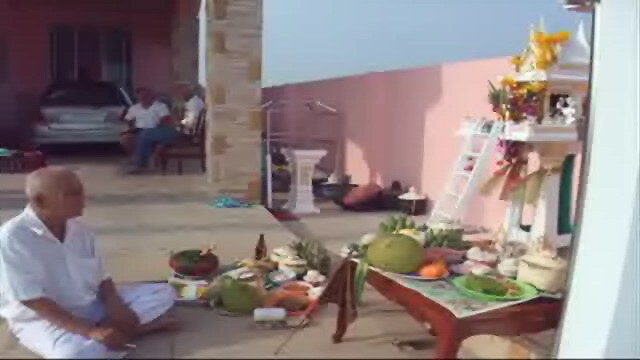 Despite being located everywhere in the country, I am constantly amazed at how they can be customized and localized to particular houses or communities. 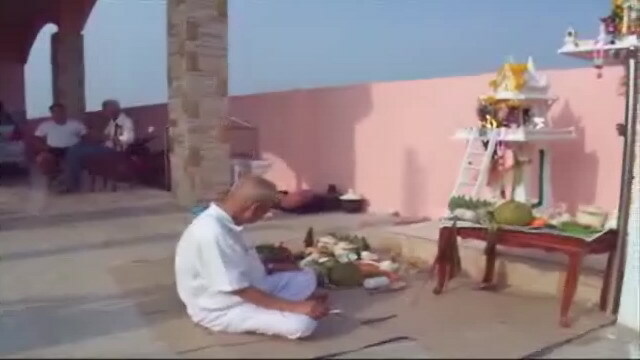 I was surprised to learn that the houses are not necessarily for Buddhist use, but over time, Thais came to use them through interactions between Indian religious practices (not sure which one) and Buddhism. I also did not know that the statues are of non-Buddhist entities. Quite an interesting intersection of religious practices and day-to-day beliefs (e.g., protect house, etc). Is it appropiate to purchase a small wooden thai spirit house as a gift for a loved one? I worry that it is not meant to simply be ordered on-line and given that way. Was considering getting it for a thai person living outside of Thailand. In my opinion, if a Thai living outside of Thailand, had felt the need for one, they would have either purchased one, or had one built themselves. Fascinating post .My buddhas are in the garden and the loungeroom.When the dalai llama visits oz i can feel the love and wisdom emanating .A few spirits have visited our home but from a number of different religious origins.I find the message is sometimes very clear but sometimes i fail to grasp the meaning of the visit only guessing that it is a warning to take care and remember the afterlife. Your participation encouraged me to increase my knowledge of this subject. I even called one of the local Monks for some insight of why the Buddhist Monks are sometimes involved with Brahmanism. Thank you for the kudos! In neither location where I've lived did the spirit houses face north. Actually in Phuket it was west and here in Chantaburi it is ENE. I don't suppose the orientation is that important. North or Northeast is what is recommended for a residence or commercial building. As long as it does not fall into a shadow from the main house or the other way around, you are OK. There is another thing I should mention, do not face it toward the bathroom, or be next to it. If a four rai block of land has a guardian spirit and then the land is subsequently sub-divided into four one rai plots and has houses build on them, and if each owner puts up a spirit-house, where do the extra spirits come from? ie. If our own spirit is a Muslim spirit (so we were told), yet, still needs a ladder to get in and out of the spirit-house, how does he perform the Haj like all good muslims should? As you can see in my previous post, it does not matter how many houses you want to build on your 4 rai. It is a single (omnipresent) spirit of "PhraChaiMongKhol", even if four shrines are build for him. You need to understand that there could be a spirit called "ChaoThee" living on that property also. This spirit originally died on that piece of land, and has not moved on. But if he/she is Muslim, I have no idea what the Muslims believe. You will find different stories from different places in Thailand. People in each region have beliefs according to their parents, grandparents, great grandparents and personal sphere. The best advice from me would be a "monkey see - monkey do" attitude. To have harmony in your household, you should follow the traditions of your area. Thank you for sharing the wealth of knowledge you possess. I am suitably impressed. And kudos to 'Stroller' as well. Besides Kingwilly, it seems you have all taken complete leave of your senses. This thread is a madhouse. Thanks for a fascinating post. Tomorrow we are having our "Spirit House" blessed. In fact - we are having TWO "spirit houses" blessed. Why two? My wife tells me that one is for the Buddha and the other is for the Angels. They are situated at the bottom of the garden, facing NORTH - not yet bedded in, as the visiting monk has to place some wood beneath them. I am now the wiser - or am I? The "Angels" is another story! 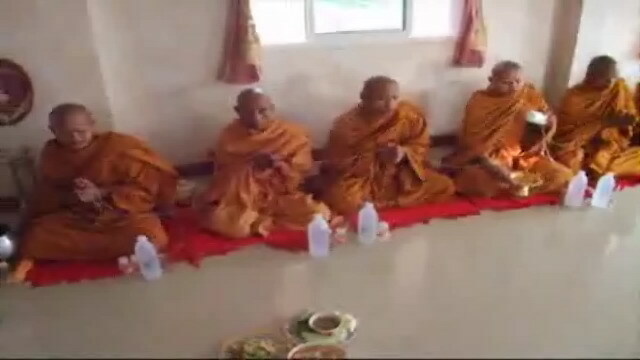 A video from Korat of the Brahms ceremony by a Brahman Monk and a couple of photos from the video. And of course the normal orange robed Monks to do the actual blessing of the house after the spirit house is all set up. A more relevant question - what happens if I were to buy a house that has a Spirit House on the grounds already, and decide to 'remove' it (i.e. take it down). I'm really not concerned about the terrible spiritual repercussions, but more if there are any repercussions in the physical world. Get the monk back in again and tell im to reverse the mantra.